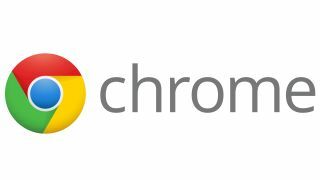 How long can Chrome stay on top? Last we heard from Stat Counter, Chrome had zipped past Firefox in the global web use stakes but was still nipping at IE's heels. But that was December 2011 and in the intervening months Chrome has gone from strength to strength despite IE9's intervening launch and mega-bucks marketing campaign. The crossover point came just weeks ago in early May as Chrome just poked past IE in global usage but there's no guarantee that this is now a permanent situation. And, of course, it's worth bearing in mind that measuring browser stats is no exact science and the figures are pretty darn close – Chrome comes in at 32.5 per cent and IE at 32.1 per cent for the last two weeks globally. But if you look at the line graph below you'll see that Chrome is trending towards the upwards and IE generally slipping downhill. Worldwide is one story but looking into separate territories tells another. Both the UK and the US remain quite IE-biased with Chrome lagging fairly far behind. But in Asia, Chrome is far and away the most popular browser despite a sharp downturn in recent weeks. All this proves is that it's a turbulent time in web browser loyalty. One to watch.